How to disguise your knitting addiction…. – Love.Yarn.Shop. First and foremost, take your knitting bag to your LYS and put new yarn in the bag. It’s economical! You are helping your LYS by saving bags! You are saving the environment! Plus, unless your spouse is one of those rare beings who says, “Buy more yarn, love,” the spouse is none the wiser if the same bag that goes out of the house, comes in to the house. Second and equally important, when you are knitting and were supposed to be making dinner, set the table and add wine to the glasses. 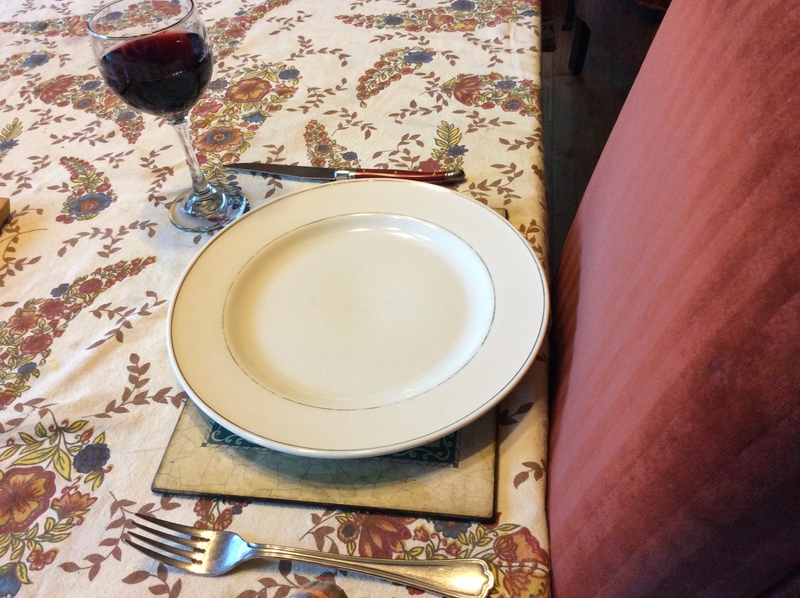 It looks like dinner is imminent, even if it hasn’t even been started because you wanted to finish the next five rows. Dinner is coming, I promise.